Max Changmin was able to prove how popular he is in Japan in the most recent episode of ‘Our Neighborhood’s Master of Variety and Sports’. During the episode that aired on the 10th, the celebrity team of ‘Our Neighborhood’s Master’ was seen flying to Japan to participate in a friendly basketball match between Korea and Japan. The team was met with countless fans as soon as they touched down in Haneda Airport, and soon found out that they were all waiting for Max Changmin. Met with an explosive response from the fans as soon as he was in sight, Max Changmin looked slightly shy as he waved to his fans. John Park, surprised by how popular Max Changmin is in Japan, linked arms with the Hallyu star and basked in his popularity. John Park has been providing small bursts of laughter for the viewers of the show with his bright smile and slightly odd behavior. Meanwhile, the episode of ‘Our Neighborhood’s Master’ that aired on the 10th featured a variety of skills from the team, including three-point shots by Lee Hae Jung. Famous Japanese entertainer Tamura had everyone laughing when people knew about Max Changmin more than they knew about him. Tamura appeared on the episode of KBS 2TV’s ‘Our Neighborhood’s Master of Variety and Sports’ that aired on the 10th and despite the fact that he was in his home ground of Japan, he found out that Max Changmin is much more popular than he is. He continued to say, “Even TVXQ can’t beat my popularity.” To prove his point, they decided to hold a popularity vote with the fans who had gathered in the area. When Max Changmin waved his hand, the fans went crazy but when Tamura waved, no one responded, disproving the entertainer’s boasts. Max Changmin will not be appearing in the charity event of ‘Our Neighborhood’s Master’. The charity basketball match of KBS 2TV’s ‘Our Neighborhood’s Master of Variety and Sports’ was held on the 11th of December at the Goyang Gymnasium in Goyang, Gyeonggi-do. However, Max Changmin, one of the original members of the show, was unable to attend. A representative explained his absence by stating, “Max Changmin was unable to play in the charity match due to scheduling issues.” This meant that the ‘Our Neighborhood’s Master’ team only featured coaches Choi In Seon and Woo Ji Won, as well as Kang Ho Dong, John Park, Park Jin Young, Julian Kang, Seo Ji Seok, Lee Hae Jung, Lee Jung Jin and Kim Hyuk. The team that played against them (Some Other Neighborhood’s Master) featured Choi Hyun Ho, Park Gwang Jae, Lee Ji Hoon, Tim, EXO’s Kris, 4Men’s Shin Yong Jae, Yang Baechu (Cho Sae Ho) and Yoon Hyung Bin, headed by coach Seok Joo Il. Meanwhile, the charity match will be aired on the 24th of December at 11:20pm. 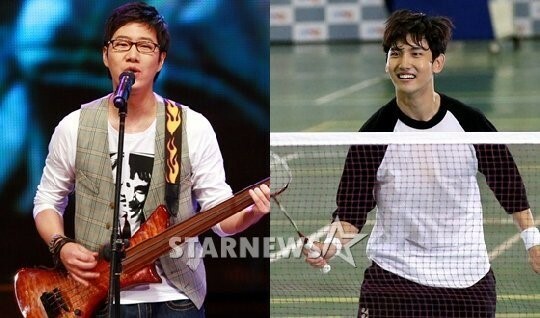 News reporter Jo Woo Jong and TVXQ’s Max Changmin have been chosen as nominees for the Best Rookie Award of the 2013 KBS Entertainment Awards. Ahead of the 2013 KBS Entertainment Awards, which will be held on the 21st of December, news reporter Jo Woo Jong and Max Changmin were called as nominees of the Best Rookie award. Their competitors include ‘2 Days 1 Night’ Season 3’s Kim Joo Hyuk and Jung Joon Young. News reporter Jo Woo Jong has been working hard as KBS’s representative ‘Reportertainer’ since the departure of Jeon Hyun Moo. Jo Woo Jong has been making his mark as ‘an entertaining genius’ with his wit and charm on KBS 2TV’s ‘The Dignity of a Family – Full House’. His talent as an entertainer, which is unexpected from his clean-cut image as a news reporter, has been highly praised. Meanwhile, Max Changmin, who made his debut as an entertainer on ‘Moonlight Prince’, which signaled Kang Ho Dong’s return to the industry, has made his mark as a successful entertainer through his role in ‘Our Neighborhood’s Master of Variety and Sports’. 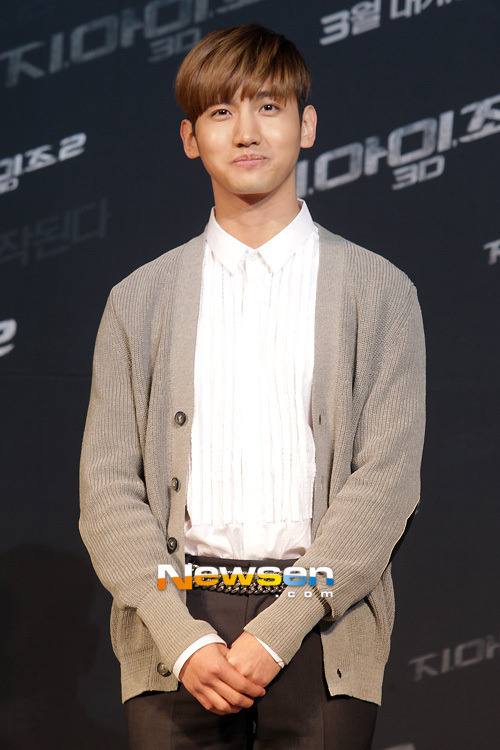 Shedding his ‘Hallyu Star’ image, Max Changmin has been gaining popularity for his natural and humble character. With countless idols flocking to variety shows, critics have praised the singer for standing out and making his mark in the industry. His wit and respect for the show’s guests has shown Max Changmin’s potential to become a great MC. Hong Seok Chun’s showed off his friendship with Kim Jaejoong. 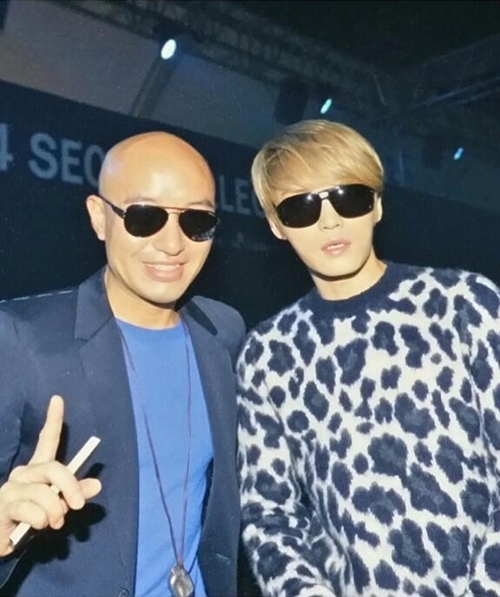 The photo shows Hong Seok Chun and Kim Jaejoong standing side by side with sunglasses on. As they were attending a fashion show when the photo was taken, both stars have stylish outfits on and the small size of Kim Jaejoong’s head, which was almost completely covered by his sunglasses, drew the attention of many. Meanwhile, Kim Jaejoong recently held his first solo concert in China, showcasing his popularity as a Hallyu star. 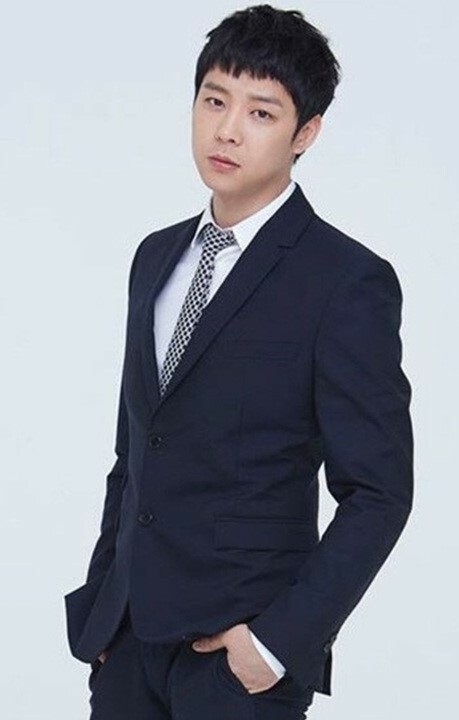 Singer and actor Park Yoochun has proven his global popularity yet again. It was belatedly found that the news of Park Yoochun being chosen to play a role in SBS’ new Wednesday-Thursday drama ‘Three Days’ was covered in a Malaysian newspaper. The newspaper reported the news and included a detailed explanation of the drama. It also included a photo of actress Park Ha Seon, who has been chosen to act alongside the singer. As a member of JYJ, Park Yoochun is extremely popular all throughout Asia and has been receiving immense support from Malaysia since his MBC drama ‘I Miss You’ aired in the country. Since Park Yoochun chose ‘Three Days’ as his next production, both domestic and international fans have been showing a great interest in the drama. It has succeeded in differentiating itself as an action thriller, rather than another love story, and love calls have been flooding in from overseas markets already. There was a rough patch due to conflicts between SBS and the drama’s production company, but agreements were reached last weekend and it was decided that filming would begin this month. With over 10 billion Won invested in the drama, ‘Three Days’ will feature stars such as Park Yoochun, Sohn Hyun Joo, Park Ha Seon, Soh Yi Hyun, Yoon Jae Moon, and Jang Hyun Sung.